The police weren’t notified of the death until after Monroe’s psychiatrist Dr. Greenson and physician Dr. Hyman Engelberg had visited her home. 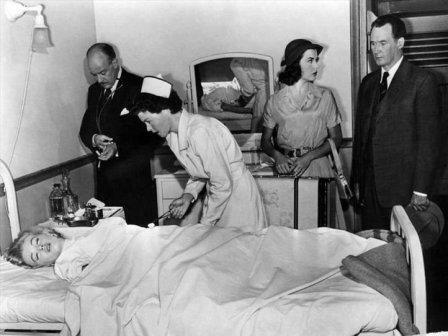 The Los Angeles Police Department was called around 4:25am, almost an hour and a half from when Monroe was found unresponsive by her housekeeper at 3am. During that time Eunice Murray, Dr. Greenson, and Dr. Engelberg were alone at the scene.